The clouds began to darken, the wind blowing as if to indicate that the rain would fall. 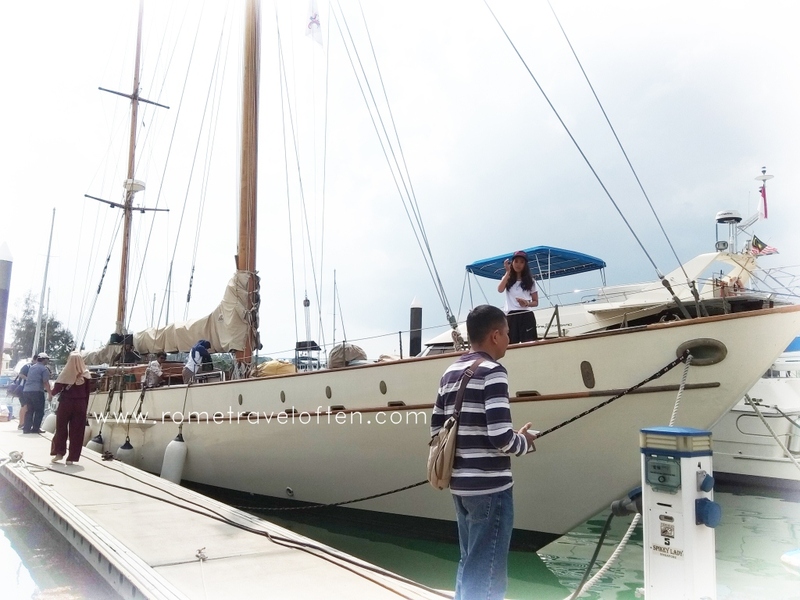 I sailed on a yacht with a luxurious design that is 123 years old called "Rona". This trip aims for watching live the grand event, a sailing race that was held at Nongsa Point Marina and Resort, entitled 3rd Wonderful Indonesia Nongsa Regatta 2018. Rain did not break my spirits to watch the race. It is the third day of the race which is the final race to decide who is the champion. I vigorously shouted at the participants to rush with their sailboat. Our yacht sailed along the race route. I was amazed by the participants of the children who are already adept at controlling the sailboat alone in the middle of the sea, even me who have grown up do not have the courage on a big ship alone, worried about drowning and no one can help. 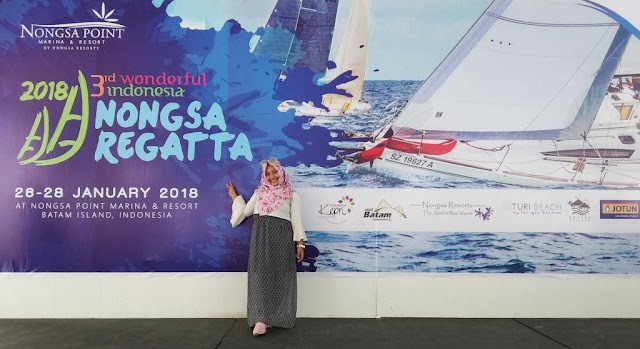 Waters re-enlivened by the sailboat that competed in the event 3rd Wonderful Indonesia Nongsa Regatta 2018. 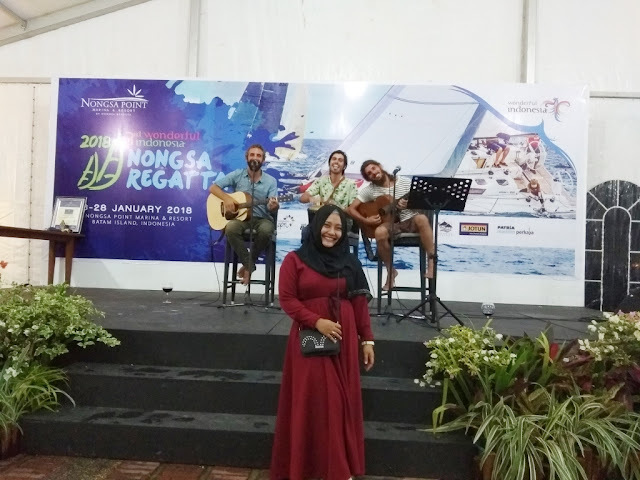 Event organized by Nongsa Point Marina & Resort supported by the Ministry of Tourism Republic of Indonesia and Riau Islands be held for three days from 26th to 28th January 2018. 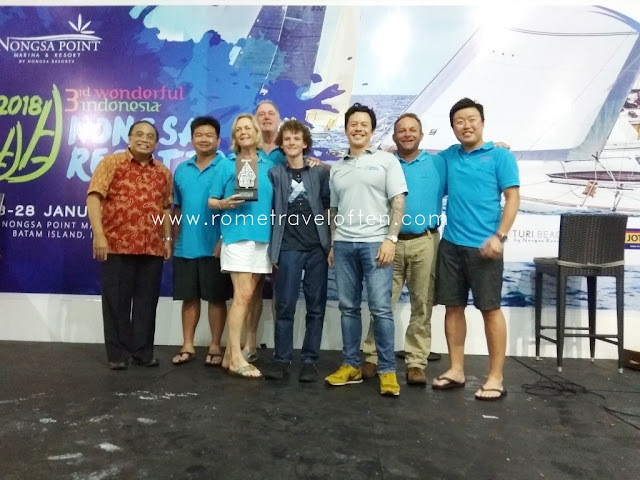 The event is also an annual agenda that is included in the event calendar of Batam Tourism Office and also Riau Islands was attended by more than 600 people, consisting of participants, spectators, supporters, invited guests and also the media for three days Nongsa Regatta 2018. 2018 is the third year of organizing this sailing competition. The competition is divided into 3 categories namely Yacht, Dinghy, and Radio Control Sailboats. The yacht race is followed by 9 teams whose participants come from Singapore, New Zeland, America and British. 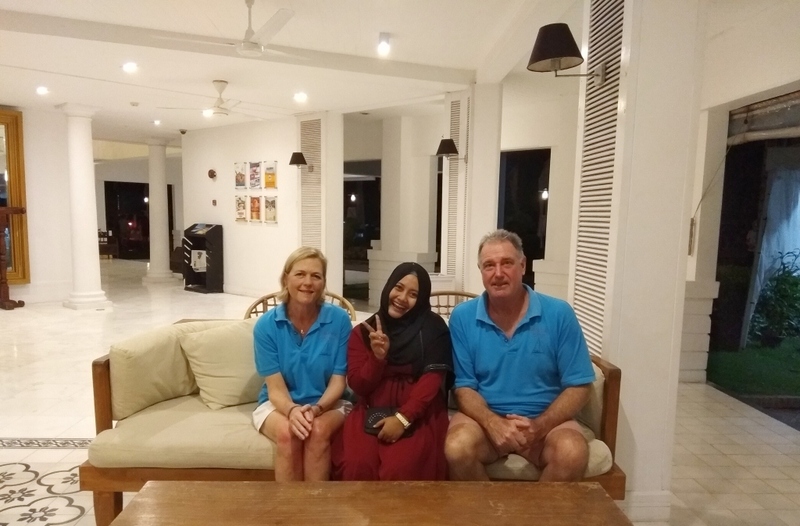 While dinghy consisting of laser and optimist followed by 30 junior participants who come from Riau Islands, Banten, East Kalimantan and Terengganu Malaysia. Besides the two categories, in 2018 the organizers also held a race for the Radio Control Sailboat category, followed by 6 people from Australia, the Netherlands and the UK. In its three days of operation, 9 yachts sailed 2 miles from the marina to Nongsa waters where the race was held. The race, which starts at 12:00 to 17:30, earns 1 daily winner and 3 overall winners. The scoring system is based on the type of vessel that has a different handicap. After 3 days, the yacht category was won by the WAKA TERE team. Followed by Singapore Management University team SMUVE in second position and SMUMAD in third position. International judges in this event there are 5 people, Leonard Chin of Malaysia as the chair of the jury, from Singapore Long Hong Kit and Tan Tee Suan, and from Indonesia Iwan Ngantung and Mr. Ramlan. Race officer is Diki Zulfikar from Indonesia supported by Focus Adventure team, Marina @ Keppel Bay, Raffless Marina, as well as helping the media team is the 123-year-old Classic yacht "RONA". 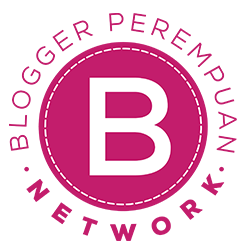 Meanwhile, in the dinghy category, the race is divided into 4, male optimist, female optimist, and 4.7 male laser, 4.7 female laser. male optimist was won by Muh Faizuddin Bin Mohd Fauzi from Terengganu- Malaysia, female optimist was won by Dilla Adilya Safitri from Kepri. For category 4.7 male laser was won by Umar Al Farouk from Terengganu - Malaysia and 4.7 female laser was won by Nur Atikah Binti Mohd Din from Trengganu - Malaysia. Souvenirs and Cups are donated by Jotun, Adidas, and Patria. There are also 2 tablets donated by the owner of Vega yacht. On the last day of the race also held Radio Control Sailboats who became the first winner was Geoff Shepherd while the runner up was won by Bart Ouwerling and third place was Mark Biggs. Prakash Reddy, Marina & Watersport Manager of Nongsa Point Marina & Resort as well as the event's chief executive explained that this resort has been the venue for organizing the Singapore Strait Regatta event for over 20 years. However, just this last three years Nongsa Point Marina & Resort became the organizer of this international event. It becomes a pride as well as a challenge in itself because to organize the regatta requires careful preparation and involving many parties, and this activity is followed by participants from more than one country. The organizers acknowledge that the implementation of 3rd Wonderful Indonesia Nongsa Regatta 2018 can not be separated from the cooperation of many parties. Ministry of Tourism of the Republic of Indonesia and Riau Islands and PORLASI (Sports unity sailing Indonesia) is a party that provides support in the implementation of this event. This form of support is also shown by the presence of high rank from the Ministry of Tourism of the Republic of Indonesia and Riau Islands in three years of this event. Indroyono Soesilo as Chairman of the Maritime Tourism Development Acceleration Team from the Ministry of Tourism of the Republic of Indonesia attended the dinner together as well as the closing of 3rd Wonderful Indonesia Nongsa Regatta 2018 on January 28th, 2018, located at Nongsa Point Marina & Resort, Batam. Beside that, conferment of 5 Gold Anchors from Marina Industries Association submitted by Bpk Colin Bransgrove - Executive Officer of Marina Industries Association to Mike Wiluan as President Director of Nongsa Resorts witnessed by Mr. Indroyono, invited guests, all participants, as well as government officials of Riau Islands and Batam. The closing ceremony was attended by approximately 300 people including participants, invited guests, supporters, local and national media. At the awards night for the champions, I had the chance to do an exclusive interview with the winner of this race, the captain of the WAKA TERE team. He mentioned that this is a boon to win this race, last year WAKA TERE occupies second position. But this year they managed to come out as winners. Exclusive Interview with The Champion "Waka Tere"
Besides race and the winners, there is another interesting thing in this event that is the appearance of sailors musicians. I talked to one of the journalists from Bangkok, Thailand. He told the story of this sailor musician. This sailor's musicians go around the world to sing, from starting to have no money and singing to earn money, now they can around the world with their own ship. Beautiful sounds with musical accompaniment in harmony with their sounds making dinner on that night more memorable with beautiful raindrops. 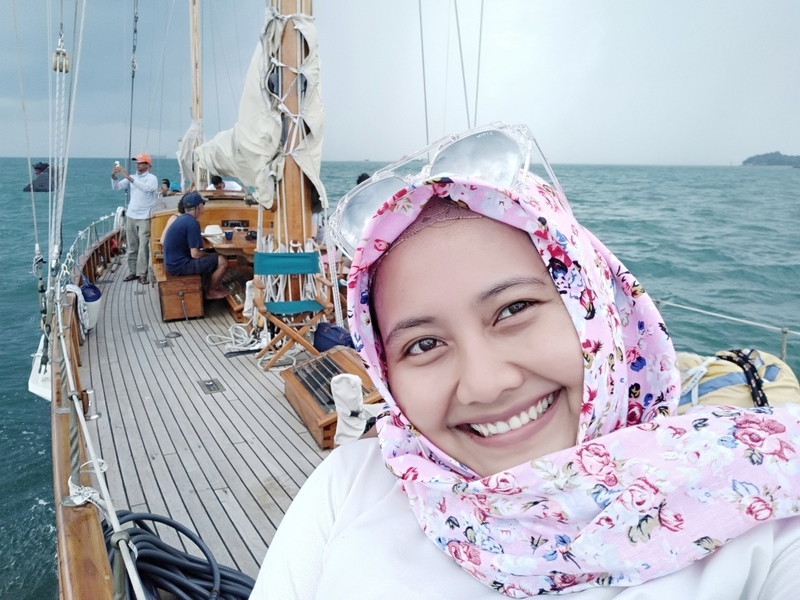 detail and great experience nihh rom..hope next time can visit batam again to see 4rd nongsa regatta..
Waw, asik banget bisa menghadiri acara sampai selesai. 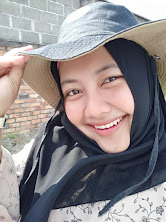 Sayangnya kemaren hujan jadi harus cepat pulang. 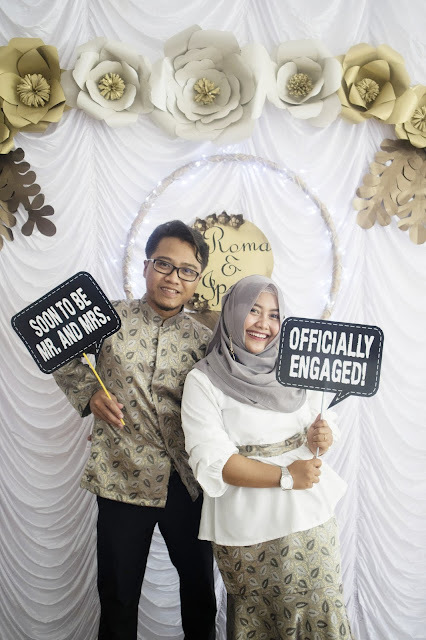 iya kak seru penutupannya tapi memang cuaca kurang mendukung, pulang2 demam.